Our volunteers provide therapeutic visits with their accredited dogs to people in nursing homes, hospitals, treatment centres, psychiatric units and special needs facilities. Most of these visits are classed as Animal Assisted Activities, but some of our volunteers are involved in providing Animal Assisted Therapy. 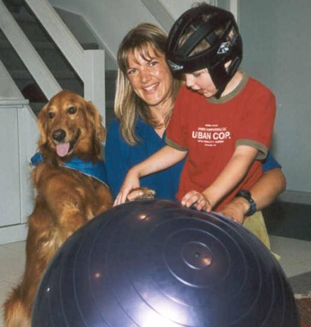 Animal Assisted Activities are the general “meet and greet” activities that involve pets visiting people. Such activities provide positive distraction to the distress of hospitalisation, and the separation from friends and family. 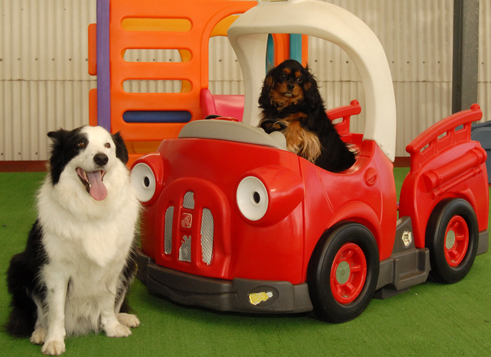 They alleviate loneliness, and provide a vehicle to improve communication and social skills. Our volunteer teams visit individual residents or patients in their rooms, in communal areas, or on hospital wards. Some of our dogs do entertaining tricks, but most are just happy to be stroked, patted and admired by those they visit. Animal Assisted Therapy is defined as the clinical healthcare treatment process in which an animal is used as an integral part of a goal directed intervention. A health professional will direct AAT as part of their practice. Specific goals for each client are identified by the health professional, and progress is measured and documented. Animals must meet specific criteria for health, grooming and behaviour. Assisting a patient with hand injuries, by using the dog to take treats from the patient’s hand, or to brush and stroke the dog. Creating a more relaxed atmosphere, particularly in hospital settings.